It’s important for parents to make sure they have chosen a vehicle that suits both their needs and the needs of their pint-sized passengers. To help parents in their search for a safe and family-friendly vehicle, the car experts at Edmunds recently teamed up with Parents magazine to come up with a list of the 10 Best Family Cars for 2017. Following a thorough examination of hundreds of vehicles, the car and parenting experts selected the following ten models as winners: Chevrolet Bolt EV, Kia Soul, Subaru Crosstrek, Honda Civic, Hyundai Sonata, Mazda CX-5, Honda CR-V, Subaru Outback, Chrysler Pacifica, and the Toyota Highlander. 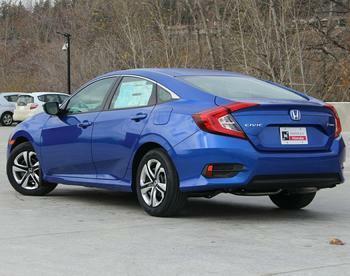 Each of the vehicles earned its family-friendly ranking by offering an impressive combination of value, performance, safety, and features that match a busy mom and dad’s needs. “Between school drop-offs, playdate pickups, sports-practice shuttling and carpools, we spend so much time in our family vehicles," said Parents magazine Editor-in-Chief Liz Vaccariello, who added that the vehicles chosen support the needs of parents and kids alike. This year’s top picks stood out above the competition by offering features such as ample cargo space, infotainment options, voice-command systems, smartphone connectivity, surround-view cameras, automated emergency braking, and lane- and road-departure warning systems. With tots in tow, minivans can be a practical option for helping families get from point A to point B. However, finding the right minivan amid a sea of options can be a challenge. For families looking for a minivan that boasts a stellar combination of functionality, safety, and family friendliness, the car experts at Edmunds recommend the 2017 Chrysler Pacifica (starting price: $28,595). To find out more about the "10 Best Family Cars of 2017," head over to Parents.com or check out the July issue of Parents magazine.